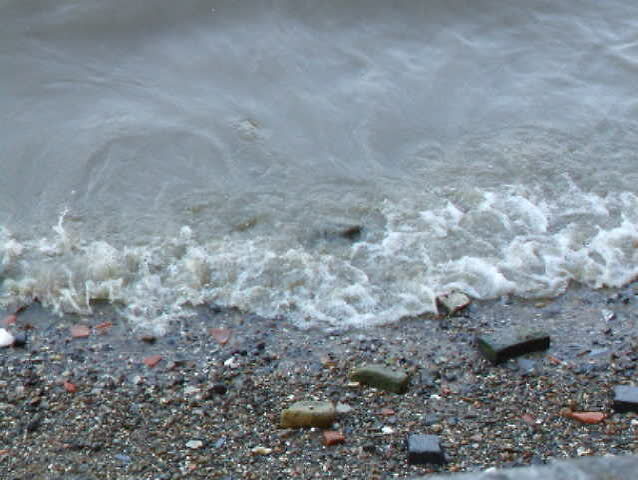 A close up of some water in the River Thames in London. hd00:16sea there was a wisp of sun coming through the dark clouds. 4k00:15Waves splashing on the beach. Shoot on Digital Cinema Camera time lapse in 4K. 4k00:16Kamka seaweed on the sand beach at sunset. hd00:08Pothole on city street causing damage to car tires if traffic passes over it. 4k00:18Small waves that hit the sand at the seaside. Caspian Sea. Slow motion.